Hello from Durham! So we have had QUITE a busy day today. We met with lots of great people at Duke that made us feel like I was an important patient. The individual attention was very impressive from such a renowned hospital. So our plans for the next portion of my treatment have changed a lot. We have decided to stay here at Duke for treatment. Dr. Densmore and the staff at UVA are excellent but we feel like we can get prepared for the bone marrow transplant better here. Also Michael will be working for a chemistry professor at UNC while away from Purdue and this will give him the opportunity to get more work done. I feel really comfortable here and so far am happy with our decision even though it takes us a little further away from friends and family (but remember at least I'm not at IU in Indy). The first round of chemo I had didn't quite do the trick. There are still some leukemia cells and so I will be taking a second round of stronger chemo starting either the end of this week or beginning of the next. I handled the first round well and I'm ready to face more - I pray that it won't be too bad. We also found out that this process of chemo/bone marrow transplant/recovery will take about a year so we'll be in the great state of North Carolina for a while. I feel like I am in great hands here at Duke. My main doctor will be Dr. Rizzieri and I was very impressed and comfortable with him today. I had to have another bone marrow biopsy which he made me feel very comfortable through (although don't get me wrong it still hurt). The reason for the biopsy was to confirm that there are still leukemia cells in the bone marrow. The blood work suggests that this is the case but they still want to confirm it. As always THANK YOU for EVERYTHING!!! Keep praying and I know I will beat it! What a nice surprise to get a post from you. I am so very proud of you and your positive attitude about all you and Michael have been through and still face. Things are falling into place and although you are further away, you sound so satisfied there. I know it is a great hospital and that you will get the best of care. I also know how to get to NC, so I will be coming down when the time is right. God is working everything out according to his time table, so we just have to be patient. He has blessed so much, and I know he will be with both of you through all of this. Just keep your faith strong. Thanks for all you are doing, I love you. We are ready to face this next step in God's plan that he has for us all. You both are amazing!! your attitude, strength and your faith are truly unbelievable . You have touched SO many lives of people that we know and a whole lot that we will never know. Good to hear from you, especially with such a positive sounding attitude. Sounds like yesterday was a lot to digest, but hang in there and keep the faith. God will get you through it. I understand Happy Birthday is in order for Michael! I hope it is the best day possible for you and Amy. We have been waiting on this report and it sounds as if the people there are just amazing. How wonderful to be on the chem staff there at Duke. We continue to think positive thoughts and prayers for you and your families. Keep the faith and the positive attitudes they will get you through all of this. We love you! Happy Birthday Michael! And, congratulations on the chem postion at UNC. Amy, it was great to hear from you and get the good news about your comfort level with the doctors at Duke. We know you, your family, and all the medical folks are in God's care. As your Grandma and others have said, you and Michael are touching sooo many people with your positive attitudes and faith. Know that people all over the place are praying. Hey Amy, and Happy Belated Birthday Michael! Sounds like Duke is the place to be with all of the care and good plans already in progress. Jesus said in John 14:1, "Do not let your hearts be troubled. Trust in God: trust also in me." By choosing to trust, the two of you are encouraging and blessing all of us who love you. We follow this blog and think of you and pray for you DAILY! We love you! Cucci's is really hopping today!! The community cares so much about you and your family, and this is one little thing everyone can do to help some. Many, many prayers are out there for you and the entire family. Keep up the good work, and we'll hope the year passes quickly and you'll be back in the swing soon! As above...Cuccis is really rockin' today! I am soo glad to hear that things worked out so well at Duke, as always you are in our thoughts and prayers! I did want to ask, I've had a couple people approach me and ask if there was a general place to make donations? A bank account or something? Please let me know! 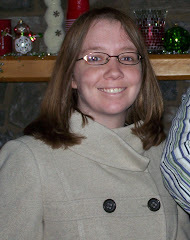 Amy, this is Tricia Terrell Patterson again. I'm Richard and Jane Terrell's daughter. I grew up goiong to Low Moor Presbyterian Church. Bucky and Phyllis are very dear to me. I'm a nurse, and I believe you are in the best place in the country for treatment. I pray that you will be healed completely. Take good care. May you feel the Lord's presence every moment. Hugs to you! My thoughts and prayers are with you. I pray that God will give you strength and healing. I don't know you, but I grew up with your mom and your aunts. I am glad that I found your blog. I truly wish you all the best and I will keep checking back. Chris and I just read this latest - and said "wow"! There's a lot going on in your young life - so great that you have such a wonderful support group in your family and Michael. I had a funny thought - I guess Mary Beth's investment in wigs will really amortize well! BEST of LUCK each day as you undergo more treatment, more processes and then, more doctors' prodding/taking samples et al. Love, from the Armstrongs in Naples. what up it is adam/mada.that is adam backwards.i am watching afv they are very videos.we love u bye. hey yall this is chrisitian. We have been out of sschool for like two days and now we are two hours late yay. I have spent this time with Aaron haha. I will talk to yall later. Till then bye. Hey Guys! We got home this evening at about 9:30 from Cucci's after having dinner with your parents. It was absolutely remarkable. We couldn't get in the door at 6:00. You could just feel the love from the whole community. You two are very special people and have touched so many lives through this. You will never know all the people that you have made an impact on. Michael, I am taking a class through UMaryland and I just may need your help. The class is a master's level Natural Products of Chemistry where I have to draw organic compounds. Don't be surprised if you get an email from me. We wish you all the best in NC and will keep praying. We love you. Congratulations on finding the town house so quickly! I'm sure everyone agress that is another answered prayer. Cucci's was such a fun place to be yesterdasy at lunch. Your Dad and part of his gang was there, people from your church, your Aunt Genie and way too many people to even begin to name a few. We saw folks from a bunch of different businesses picking up big orders. There was one couple near us that the waitress realized was not one of the regulars so she mentioned that it was a special day at Cucci's for your benefit. The day's success is more evidence of how far and wide the prayers are spread for you, your family, and all your care givers. I am so happy that you like Duke. The doctors and staff sound amazing! You are in good hands. I will be thinking of you often! Wow! all these comments from the Monday post. You must feel very special, because, in fact, you ARE. We are so thrilled with the Cucci day, although we still do not know any numbers, just that this community is awesome. So much love and concern was shown, and the staff there was so accommodating. People had to wait a long time, but I think they were just there because of you, so it probably did not matter. Hang in there, today's lab reports were good, and things are moving along so well. I'll be so anxious to see your new place of residence, instead of a motel room!! Roscoe and Winslow stayed out longer today, it was so pretty. They are some dogs! I have tried for several days to post a comment after I get home from work, but it won't go thru...says its busy...so many are wanting to wish you well I guess so I'll try again today. Glad to hear that househunting went well and that you are still feeling good. I seem to hear the song "AMY" on the radio everytime I get in the car, it must be a sign, so I say an extra prayer now everytime I hear it. We love you guys and are always thinking of you all. Stay strong and keep that positive attitude. I am glad to hear the chemo treatment is going well, my mother has been keeping me updated on you both almost everytime I talk to her. Duke is a great place for care so I think you made a great choice. If you need to come to Boston (The Medical Hub of the US)I live right near Dana Farber Cancer Institute. My thoughts are with you and your families and I wish you nothing but the best during your recovery.